ARDE Barinco, Inc., an American manufacturer and distributor of high capability mixing, homogenizing, grinding and size reduction equipment is proud to annouce the availability of a line of multi-shaft mixing machinery. 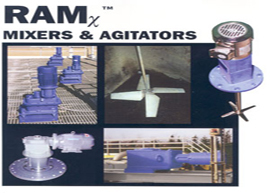 The ARDE MAXIMIXER combines a proprietary scraped surface agitator combined with a high shear rotor/stator mixer for dispersion and an auxiliary axial flow variable pitched turbine. 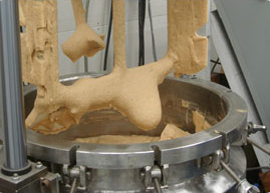 The MAXIMIXER is used to disperse solids and emulsify immiscible liquid mixtures. 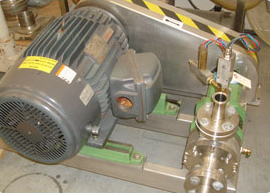 The MAXIMIXER utilizes vacuum as the driving force to draw powders into the bottom of the batch directly into the high shear rotor stator mixer. 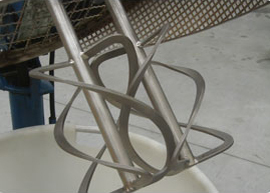 This provides immediate dispersion of powders such as titanium dioxide, Carbopol, CMC, calcium carbonate, Xanthan Gum, polyethylene oxide and many other difficult to disperse powders. 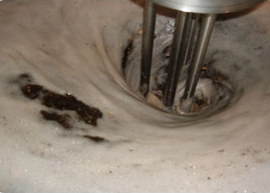 Following dispersion of the powder, the mixture can be completely deaerated in batch fashion. 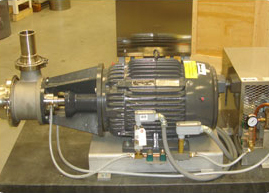 The ARDE MAXIMIXER is made in 100 liter up to 40,000 liter capacity. 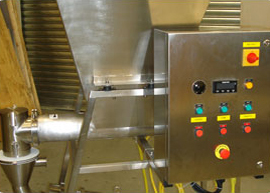 MAXIMIXER systems are built to the specifications required by a wide variety of industries including fine chemical manufacturing, pharmaceuticals, cosmetics and process foods.